Unesco and the Indian Railways will sign an agreement for preparing a conservation guideline for the century-old Darjeeling Himalayan Railway on January 20. The railways had approached Unesco to draw up a Comprehensive Conservation Management Plan (CCMP) for the DHR. "Recently, the railway department transferred Rs 3.21 crore to the Unesco to formulate the conservation plan. Signing of the agreement would mean a formal launch of the CCMP," said a railway source. "Initial work for the CCMP has already begun. The Indian Railways is very clear that it wants to preserve the DHR. Since this is a specialised job, expert feedback and opinions are needed. The Unesco, with its expertise, will draw up a plan for the DHR." Railway minister Suresh Prabhu and Shigeru Aoyagi, the director and Unesco representative of India, Bhutan, Maldives and Sri Lanka, will sign the agreement in Darjeeling, sources said. The CCMP is expected to be drawn up within two years. The Unesco had given a heritage tag to the DHR in 1999 and the CCMP was to have been formulated within five years. But the project had not been taken up. In the CCMP, apart from identifying the core, buffer and heritage areas, Unesco would create an inventory of DHR assets, come up with guidelines on how to maintain the old heritage structure and document craftsmen associated with the DHR. The DHR started operating from 1881 and now, it has 13 century-old steam locos and six diesel engines. "A detailed guideline on how to maintain steam engines, wagons and machinery and a manual for repair of stations would be drawn up under the plan. Integrating the local population and creating a local conservation unit will also be an important aspect of the plan," said the railway source. Last year, a Unesco team had visited the DHR to conduct a survey and sources said there were plans to set up a separate management unit here for the the DHR. 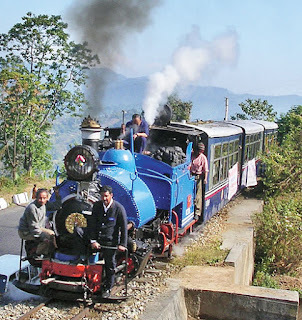 The total annual expenditure to run the hill railway is Rs 15 crore and sources said that for the first time since Independence, the DHR was looking at breaking even.